I am really excited to present this recipe to you! This will be my last zucchini recipe for this season, and I have worked hard on it to present you with a truly delicious creation. For most people, soup is not the first thing that comes to mind when contemplating how to cook up their zucchini. You’ll have to trust me on this one guys, and give it a try. (If you follow my directions exactly!) Even my picky kids love it! I got the idea for this recipe from my roasted butternut squash soup. When squash is roasted in the oven, the natural sugars are carmelized, adding sweetness and of course softening the pulp. Roasting the zucchini in the oven helps to dry up some of the zucchini’s excess water while browning the edges also adds great flavor. After that, the recipe is very simple. I tried more complex variations, but found that the simplest was the most delicious! 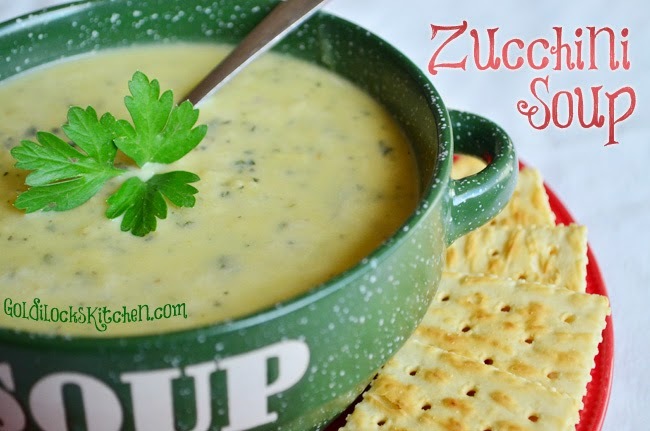 Once the zucchini is roasted, it is pureed in the blender with chicken stock and poured into a large pot or dutch oven. Rice is then added and cooked in the soup. Once it’s done pour in a bit of heavy cream and add salt and pepper to taste. It mostly tastes like chicken and rice soup but the roast zucchini really imparts a nice extra depth of flavor. You can see the rice gives a nice texture and body to the soup. I know you’ll enjoy this recipe, give it a try! It’s been a lovely treat for me and my family on several occasions, and goes great with a nice slice of buttered bread. 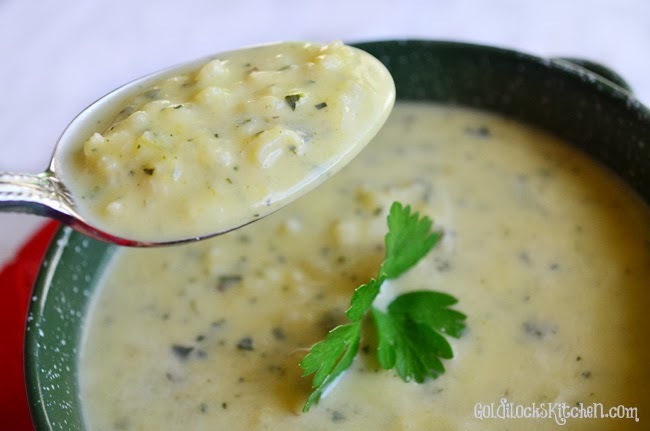 A creamy, savory and deliciously satisfying soup made with rice and roast zucchini. Substitute chicken stock with vegetable stock for a vegetarian version. Set the oven to 425 degrees and move oven rack to center. Wash and slice the zucchini in half lengthwise and scoop out the seeds. Chop the zucchini into 1 inch size chunks and place in a medium sized mixing bowl. Chop onion into 1 inch chunks, separating the layers after doing so and add to the chopped zucchini. Pour olive oil over and a pinch of salt and pepper. Toss or mix to coat evenly. Spread the zucchini and onion onto a large rimmed baking sheet and roast in the oven for about 30 minutes, flipping the zucchini pieces over about half way through. Use a good spatula to remove any bits that stick to the pan to add to the soup. When most reach golden brown remove from oven. 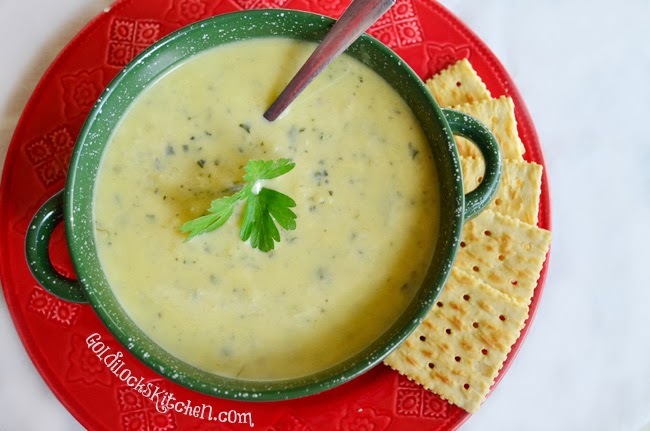 In two batches, place the roasted zucchini and onion in a blender and each time add two cups of chicken broth. Puree until smooth. Pour into a large pot or dutch oven with a well fitting lid. Pour in rice and the rest of the chicken broth and stir to incorporate. Bring to a boil over high heat, then cover and simmer on medium low for about 20 minutes, or until the rice is cooked. Off heat, stir in the heavy cream and salt to taste. Serve.